Low carb, the 5:2 diet, detox, cabbage soup... there's no shortage of novelty diet programmes promising to help you lose weight fast. The British Dietetic Association says there's no "wonder-diet you can follow without some associated nutritional or health risk". A fad diet is typically a low calorie diet with few foods or an unusual combination of foods. People can lose weight very quickly initially, but soon get fed up and return to old eating habits, and end up putting the weight back on. Here are 5 reasons why following the latest novelty diet may not be a good way to lose weight. Many diets, especially crash diets, are geared to dramatically reducing the number of calories you consume. 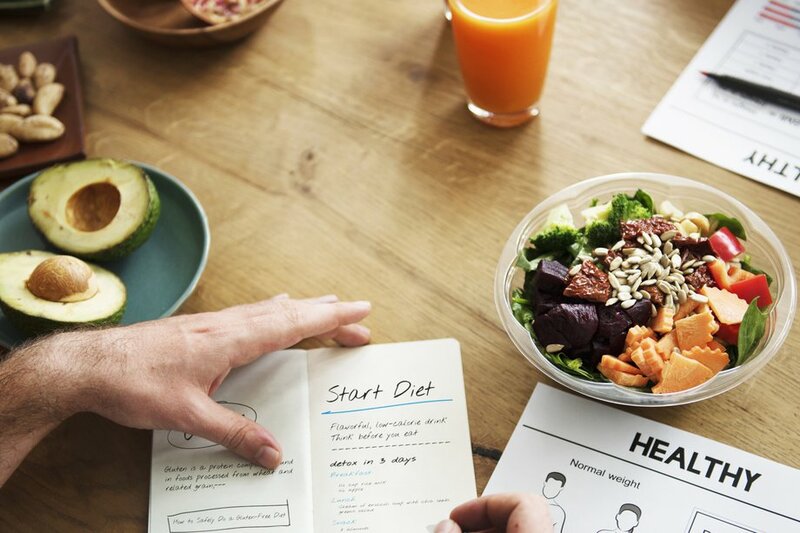 "Crash diets make you feel very unwell and unable to function properly," says dietitian Ursula Arens. "Because they're nutritionally unbalanced, crash diets can lead to long-term poor health." Some diets recommend cutting out certain foods, such as meat, fish, wheat or dairy products. Cutting out certain food groups altogether could prevent you getting the important nutrients and vitamins your body needs to function properly. Some diets are very low in carbohydrates (like pasta, bread and rice), which are an important source of energy. While you may lose weight on these types of diets, they're often high in protein and fat, which can make you ill.
Low-carbohydrate diets can also cause side effects such as bad breath, headaches and constipation. "It's been suggested that the high protein content of these diets 'dampens' the appetite and feelings of hunger," says Arens. Many low-carbohydrate diets allow you to eat foods high in saturated fat, such as butter, cheese and meat. Too much saturated fat can raise your cholesterol and increase your risk of heart disease and stroke. Detox diets are based on the idea that toxins build up in the body and can be removed by eating, or not eating, certain things. But there's no evidence that toxins build up in our bodies. If they did, we'd feel very ill.
Detox diets may lead to weight loss because they involve restricting calories, cutting out certain foods altogether, such as wheat or dairy, and eating a very limited range of foods. "Detox diets do not work," says Arens. "They are, in effect, a form of modified fasting." Some fad diets are based on eating a single food or meal, such as cabbage soup, chocolate or eggs. Others recommend eating foods only in particular combinations based on your genetic type or blood group. Often there's little or no evidence to back up these diets, and they can be difficult to keep to in the long term. "If followed over long periods, these diets can be very unbalanced and bad for your health," says Arens. "You may lose weight in the short term, but it's much better to lose weight gradually and to be healthy." The only way to lose weight healthily and keep it off is to make permanent changes to the way you eat and exercise. A few small alterations, such as eating less and choosing drinks that are lower in fat, sugar and alcohol, can help you lose weight. There are also plenty of ways to make physical activity part of your life. If you're overweight, aim to lose about 5 to 10% of your starting weight by losing 0.5 to 1kg (1 to 2lb) a week. You should be able to lose this amount if you eat about 500 to 600 fewer calories than you normally consume each day. An average man needs about 2,500 calories a day and an average woman about 2,000 calories to stay the same weight. Here are 6 simple things you can do to eat healthily and help you lose weight. You'll find lots more tips and information in our lose weight section. Eat wholegrain foods, such as wholemeal bread, brown rice and pasta. They're digested more slowly than the white varieties, so will help you feel full for longer. Don't skip breakfast. A healthy breakfast will give you the energy you need to start the day, and there's some evidence that people who eat breakfast regularly are less likely to be overweight. Aim to eat at least 5 portions of a variety of fruit and vegetables a day. Learn more in Why 5 A Day? If you feel like a snack, try having a drink first, such as a glass of water or cup of tea. Often we think we're hungry when really we're thirsty. Swap drinks high in calories for lower calorie alternatives – that means drinks that are lower in fat, sugars and alcohol. Swap a sugary fizzy drink for sparkling water with a slice of lemon. Don't forget that alcohol is high in calories, so cutting down on alcohol can help you control your weight. The amount of physical activity that's recommended depends on your age. Adults aged 19 to 64 who are new to activity should aim to build up to 150 minutes of moderate-intensity aerobic activity a week. Beware of buying fake or unlicensed medical products sold as slimming products. Get informed and know what you're buying.